What does Gwisk Lowen Mean? Gwisk Lowen is Cornish and quite simply means happy clothes. We sell clothes that make you squeal when you see the parcel arrive, they quickly become very favourite items for little ones to wear and they make strangers smile when they pass by. There are too many children’s clothes out there that are drab and boring, children’s clothes should reflect their personalities, they should be bright and colourful and full of joy. What’s different about Gwisk Lowen? 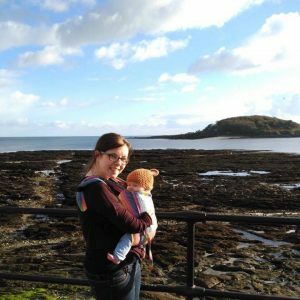 I decided to set up Gwisk Lowen because as a mum with a physical disability I really struggled to find clothes for my daughter that I could manage. I’d order something beautiful online and then it would arrive and I’d discover fiddly buttons that hadn’t been mentioned in the description or poppers where I thought there was a zip. You’ll find that we describe and photograph all of our products in great detail to make sure that you know exactly what you’re buying.